Westsail Owners Alliance - Thread: "W 32 For Sale...."
Thread: "W 32 For Sale...."
There is W32 on Ebay. looks nice. This W32 with a flush deck in San Carlos is an absolute bargain if it sells near the current high bid price of $12,000. Anyone looking for a fixer W32 should seriously consider it. 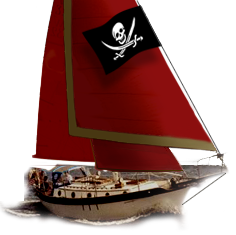 I have no personal information on the boat, as I did not even have it on my list of Westsail boats. I believe the EBay bid closes on July 14, so you cannot delay contacting the owner. Could be deal of the lifetime for the right person. All for only 20K! stove, heater, head. Is all there. I myself never seen the boat and posting it for the owner. Just traded e-mails with a guy who is buying the boat in Arizona. He'd asked me about a boat that I mentioned in a post from a couple of years back about another Westsail 32 that was in the midwest somewhere (Indiana?) that had never been in the water. The owner had spent about 20 years fitting it out, and it is pretty close to complete, but he'd decided to sell it. If anyone is interested, just write to me and I'll pass along the guy's phone number. Mike, You might mention to him that I do have a place on my website for Westsail owners to list their boats for sale. The site does get a lot of attention considering how often I have to put SOLD signs on the ads.